The much awaited Goods and Services Tax (‘GST’) now seems to be a reality as the broad contours are slightly visible. The Finance Minister in his Budget speech made it clear he has all the intentions to implement GST from April 1, 2016. Though, we have seen in the past (during VAT introduction days) that statements made by the Ministers and their actual implementation are always poles apart, it seems this time the Government has something ready in its hands. I happened to meet a former senior CBEC Member during one of the Budget sessions and he informed the Government has already done a lot of work in relation to GST. The most important ‘Place of Supply’ Rules have been drafted and GST legislation to an extent has also been finalized. He was of the firm opinion that if political will exists, there is a good chance GST getting introduced from the above date. His statement was both a matter of exhilaration and disappointment because on one side he excited me by disclosing that a lot of groundwork has been done but the same was caveated by mentioning the words ‘political will’. We all know how important and crucial projects have got stalled in the past only because of political unwillingness. 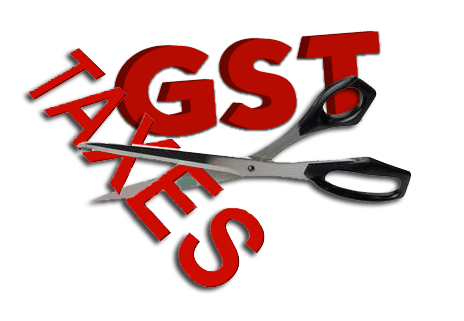 Time will only unfurl whether we would see GST happening next year or not. But definitely some steps in the Budget 2015 indicate the willingness to create a path for GST. The rate of Service tax increased to 14% that may eventually go up to 16% (if Swach Bharat Cess is introduced) is an indication to the service providers to get ready for at least that rate under the GST. Though, the probability of GST rates more than 16% cannot be ruled out, there is definitely an indication now that the rate would at least be 16%. The manufacturers are already paying at least 16% (12.5% excise duty and 4% VAT or 2% CST) and therefore, through this amendment the convergence of different rates seems to be happening. Further, GST being a tax without exemptions, the Government has done some work on that front as well with removal of few exemptions. So all in all, a good and fair move towards GST. From a CEO or the CFO’s perspective, it looks like time has come to probably get some bit of understanding on how this new piece of legislation would unfurl things and its likely impact on the business operations. Until now, not many people were looking at this seriously, but we feel there is no harm in getting some basic education on how GST is going to impact your company’s bottom line. The CFO/ CEO’s would also need to ascertain the tax impact on the entire value/supply chain and its potential impact on the product prices and bottom line. Currently, there are multiple non-CENVATable taxes that organization’s pay and those add to the prices of the finished products. These include taxes like Octroi, Entry tax, CST, Luxury taxes etc. Once GST subsumes all these taxes, there is going to be an immediate impact on the product price and the bottom line of your organization. Consequently, a deep understanding of how these taxes would be subsumed and a careful monitoring of their impact on the costs of the business is important. A critical implication that arises out of the above is managing the cash flows resulting out of payment of taxes at each stage. Currently taxes are not paid at each stage whereas under the GST, each leg of the transaction shall be taxed, resulting in cash flow issues. This would also get heightened with the increase in the rates of GST vis-à-vis current rates of VAT and Service tax. We need to understand GST shall be a transaction tax and consequently, each and every transaction has to be analyzed and thread-bear to figure out the tax implications. Further, the current concepts of ‘sale of goods’ and ‘provision of service’ shall be completely replaced with the concept of ‘supply of goods and supply of service’. The term ‘supply’ is a much wider term and means even if goods or services are not sold, they would still get taxed under GST by virtue of them being supplied. Transactions relating to ‘stock transfers’ are proposed to be included in the ambit. In addition to the transactional issues that would merit a deep-dive, there is another aspect requiring a significant overhauling and that is the IT set-up of your company relating to accounting and taxation. GST would bring with itself plethora of compliances and if you operate in various states, it would mean maintaining documentation for all the states and effectively managing credit movements across the India. Being dual in nature, each company would need two separate registrations, one with the Centre and the other with the State. For service providers who only provide services and pay Service tax, this would mean added compliance since they would need to pay both CGST (Central GST) and SGST (State GST) and undertake compliances at both the levels. As per me, the other larger issue unrelated to tax requiring a well-designed change management strategy is the attitude of the staff and other stakeholders. The current regime of taxation has been place for last 60 years and therefore any change unless embraced well within the organization can be quite catastrophic. Proper education on the new provisions, their impact on the business & on the roles and responsibilities of the staff and how this change is going to make their life easy and more profitable has to be properly fed in the system and particularly into the staff’s minds. More than hard issues, it is the softer issues that are going to be a key in ensuring a smooth transition for any organization.